The Brut Deodorant Attraction Totale refreshes and quickly covers body odor, and is a powerful, persuasive and distinctive masculine fragrance. The Attraction Totale Deodorant from Brut is uniquely designed showcasing the electrifying charisma of a confident man. The sensual woody fragrance enriched with a blend of citrus fruits notes and white musk exudes a passion and seduction that make it irresistible and elegant and perfectly suitable for the gentleman in you. 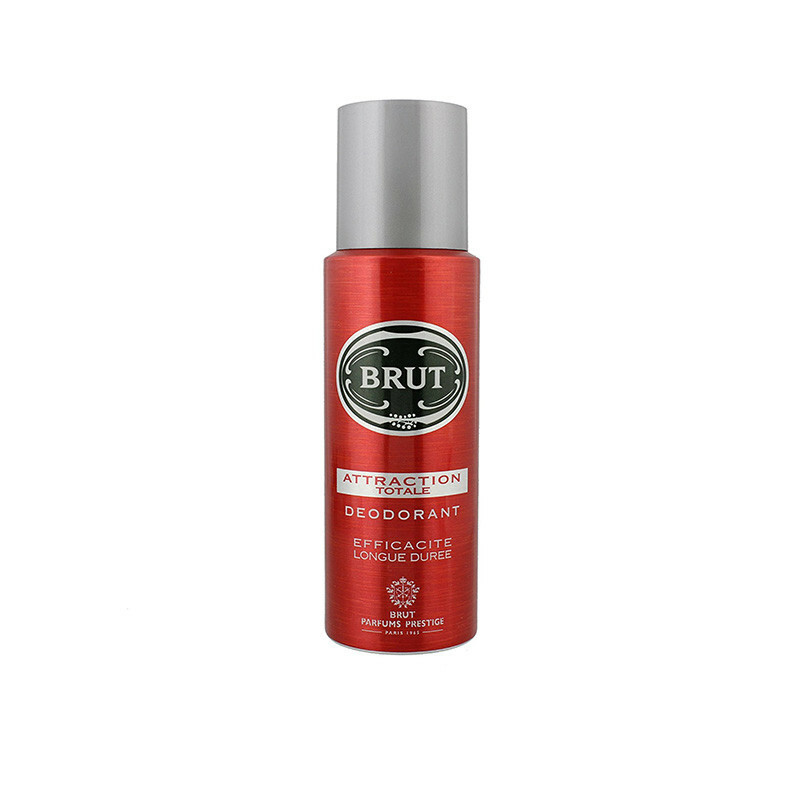 The Brut Deodorant Attraction Totale refreshes and quickly covers body odor, and is a powerful, persuasive and distinctive masculine fragrance.